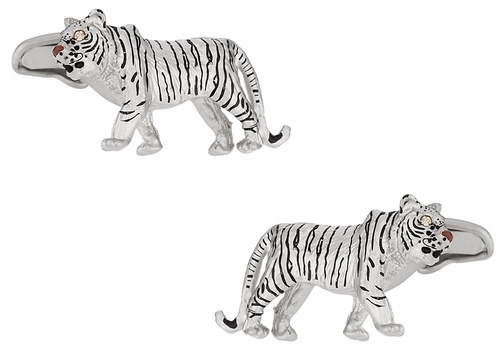 Enhance your look with princely pride with these striped tiger cufflinks. 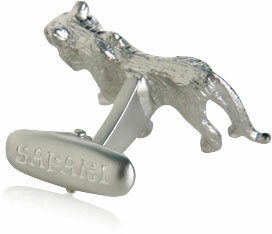 They're crafted from a brilliant silver tone metal that gleams and lights up in direct sunlight. These cufflinks have black accents and topaz Swarovski crystal eyes. 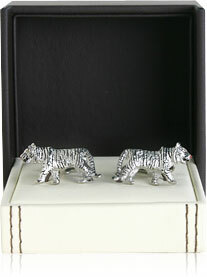 This set's highly detailed and shows a true sense of pride and craftsmanship. 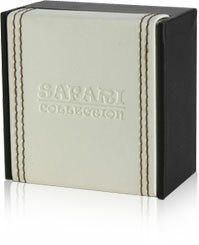 The links come in a leather wrapped SAFARI gift box and create a strong impression when first viewed. 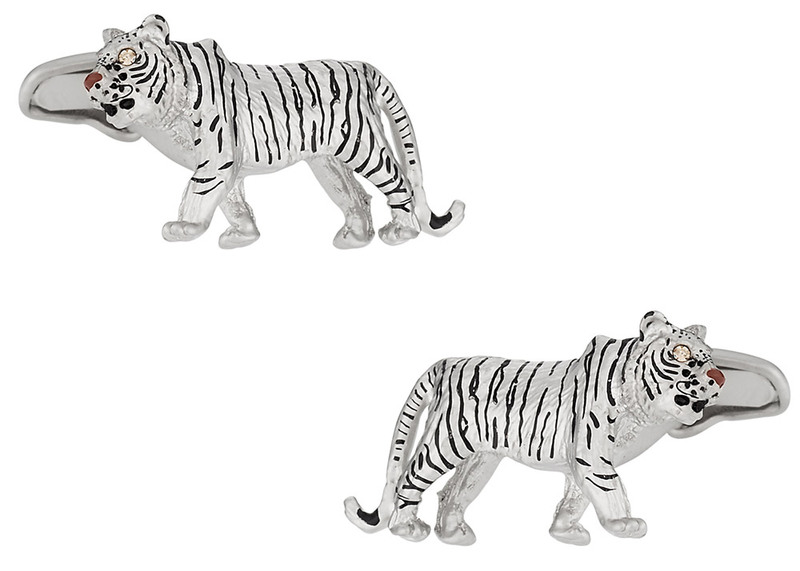 Take a look at these cufflinks and you'll be thrilled with the attention that you're getting. They make a cool gift to the fashion-conscious, or they are a nice addition to your own personal collection. 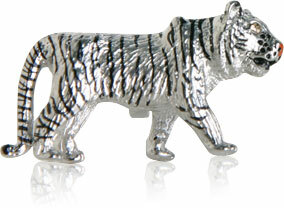 The tiger cuff links are beautiful and excude elegance and power while the contrast between the black stripes and the silver background makes this an attractive piece on it's own.